My name is Leslie, and this is my story. 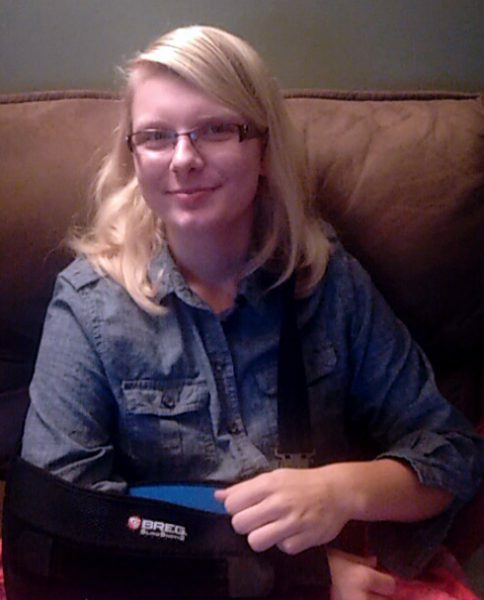 In March of 2015, I was involved in a minor car accident. It left me with a hidden shoulder injury that took away some of my strength, mobility and the ability to complete normal activities on a daily basis. 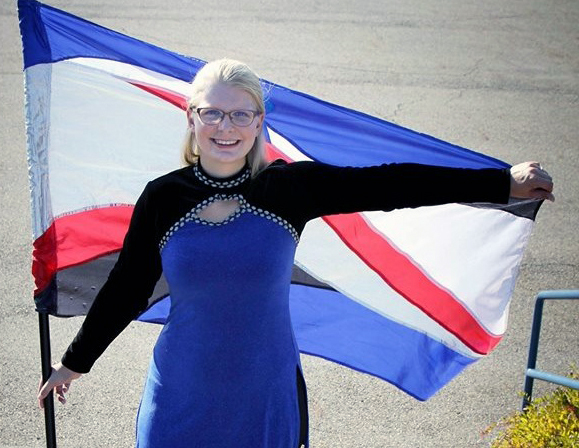 I competed on the girl’s tennis team at Lake High School (Stark County) and was a part of the flag line in the marching band for all four years of high school. 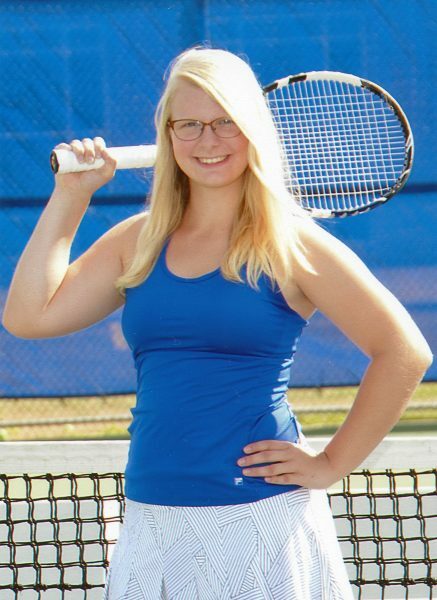 But going into my junior year, I quickly discovered, after the accident, that I could not serve properly for tennis without excruciating pain, and had difficulty twirling a flag for a short amount of time. My parents looked into every possible treatment for me to deal with the pain, and nothing seemed to be working. I was misdiagnosed numerous times, and finally, Dr. Riley Jr. discovered and diagnosed me with a labrum tear and said I needed surgery. I did not want to give up my junior year of tennis and flag that summer, so they suggested that I attend physical therapy before I started my sports. I received physical therapy at Akron Children’s Sports Rehab Center with Dan Norman and Matt Perkins before I started my fall sports. I had surgery in November 2015, and returned for recovery. I ended up spending a total of a year attending physical therapy, usually multiple days a week. The overall goal was to strengthen my shoulder to get through my senior year of tennis and flag. However, my ultimate goal was to secure a singles player spot on the varsity tennis team. The therapists at Akron Children’s are some of the best people I know, and they always greeted me with a smile at each visit. They are compassionate, helpful and understand what you are going through, even if they haven’t had the injury. While under their care, I regained much of my strength and mobility in my shoulder. All of the hard work I did, and all the visits to physical therapy, paid off when I landed a singles spot on the varsity tennis team my senior year. I’m so thankful for my therapist and his encouragement to push through each exercise, because I would not be where I’m at today. Coming up in May, I’m auditioning for the flag line at Kent State University (and plan to study marketing at the Stark location), something I would’ve never thought possible two years ago. But thanks to Akron Children’s Hospital and the Sports Rehab Center, I know I can put my best foot, or should I say shoulder, forward.